The KME FireStix is versatile with minimum setup time to maximize your firefighting response and offers the best of both a pumper and ladder truck. It can be rated as a pumper or aerial. The FireStix is available on either a commercial or custom pumper chassis with a 500# tip load ladder. 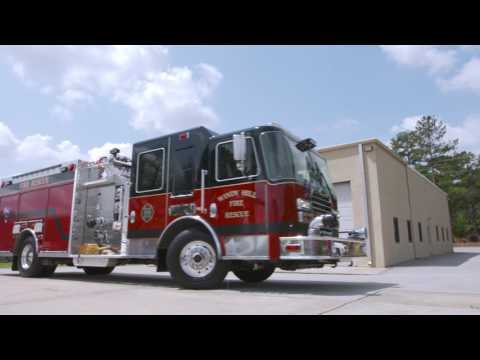 KME FireStix water towers are known for their maneuverability with the shortest wheelbases and overall lengths and lowest travel heights in the industry. The electronically controlled tuck away monitor promotes maximum flexibility and control and safe egress from the ladder. 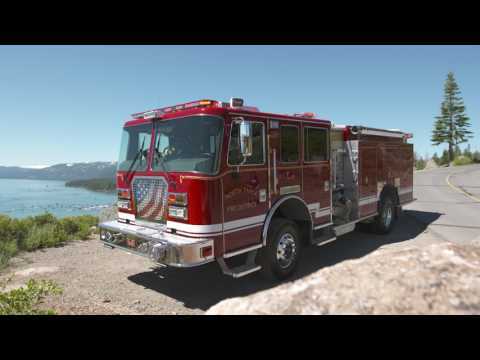 Utilize the FireStix as a pumper or an aerial with a custom or commercial chassis. The minimum width of the ladder is 18 inches between rails. 12-inch handrails, which extend a minimum 12 inches above the rungs, are provided on each section of the ladder. Folding steps are installed near the tip of the fly section. Windy Hill VFC, SC | SAFE. DEPENDABLE. DURABLE. Windy Hill VFC, SC | SAFE. DEPENDABLE. DURABLE. "When people hear the siren, they know help is on its way. We owe it to them to do our best on every call and the safety and comfort of our KME allows us to do that. It's a very agile truck for tight country roads and carries everything we need to get the job done right." Conquer Familiar Terrain with North Tahoe Fire Protection District "Thirty feet of avalanche-inducing snow in a single season isn't uncommon for us. Neither are dozens of wildfires that threaten homes. That's why our engines need to be Tahoe tough. They're built to perform off-road and help us stay on-task, in every emergency. For our departments, serving people is a time-honored mission." – Michael Schwartz | Fire Chief, North Tahoe Fire Protection District.